I was walking around South Coast Plaza one night and heard a deep bass just bouncing off the walls. I followed the noise and it led me to the Sony store. 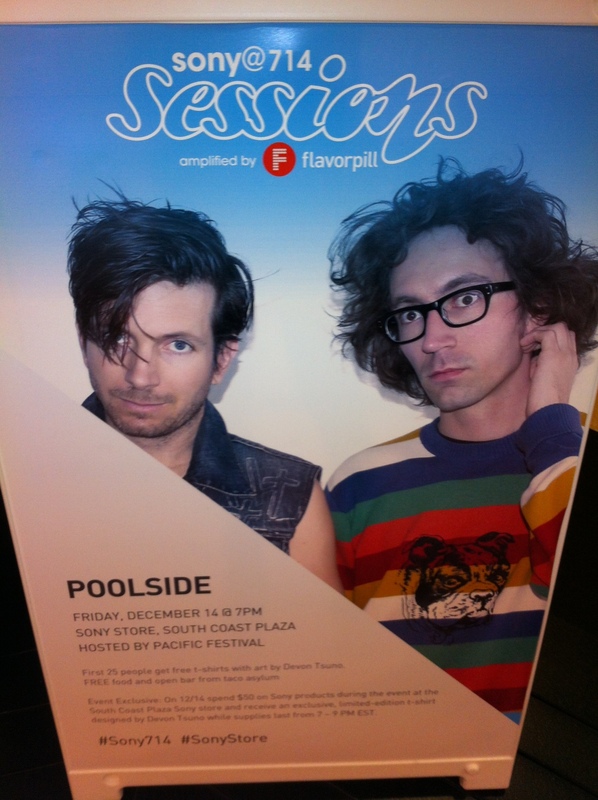 A bunch of people were crowded around the corner of the store because a band named Poolside was performing inside! 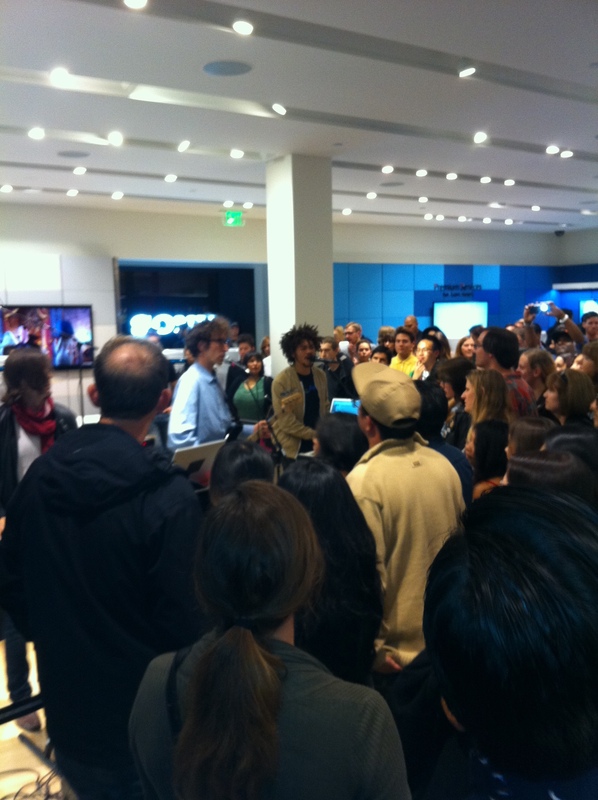 Being inside the store with a bunch of hipsters who were really enjoying the music felt surreal. I felt as if I was in a movie where I just walked into a whole different world. This was definitely a new experience for me. You just had to be there to know what I’m talking about. Wikipedia says that the band is known for their style of daytime disco music. I never knew there was a way to describe music as daytime disco. But once you listen to one of their well known songs “Do You Believe,” you’ll understand why it’s considered daytime disco. As you’re listening to it, you’ll just feel that the music is somehow daytime disco.